Improved stability - precisely placed magnets with the 'right' magnetic force greatly improves the overall stability and firms the 'core' integrity of the cube, which allows you to operate the cube at much lower tensions than normal. Faster and Sharper Turns - magnets reduce possibly of competition DNF's as the magnets naturally assist the solver by forcing complete turn rotations (the turns naturally 'snap' into place aided by the magnets). Stunning MoYu GTS 2M Gift Box: A beautifully designed magnetic box that uses a gliding surface format looks great and protects the cube from easily being damaged. It was my first magnetic cube and I was blown away by the speed out of the box. This cube is really fast and the magnets are not too strong, but strong enough to keep the cube fairly controlled. Compared to my Original Rubik's brand cube, this product is perfect. No more tired fingers from pushing the faces around. This is my first speed cube and is heaps of fun. 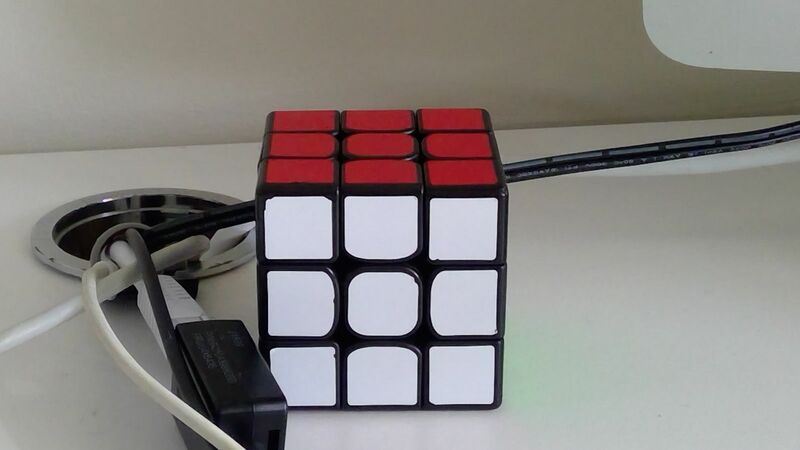 I can't even pick up the old one [because this cube is amazing] and complete it any more... Just sooo… stiff... Very enjoyable. would recommend to every one. Best magnetic cube I owned so far. Good value for the money.